Chris Bank is the Growth Lead at UXPin, the UX Design App. He recently co-authored the Guide to UX Design & Process Documentation. Though the MVP provides a means to test hypotheses as a starting point, it does not imply that it is easy to build. The idea behind this exercise is not to see if the product can be built in terms of technical feasibility. Rather, it is to see whether you should be building it in the first place and, more importantly, whether it’s solving a problem other people find worth paying for. Vladimir Blagojevic, founder of Grant Snap & Lean Startup Circle Brussels writes about the importance of building a product that people want to use and pay for. In order to reach that stage, however, you need to make sure your product passes certain tests. Time and money are valuable resources and wasting them on building a product that doesn’t meet that criteria is out of the question. MVP tests are designed not just to answer technical questions about the product, but also to test fundamental business hypotheses about the viability of the market it exists in. “In a startup no facts exist inside the building, only opinions,” says Steve Blank, co-author of The Startup Owner’s Manual and creator of the Customer Development Methodology. In his book “The Four Steps to the Epiphany,” he talks about the Customer Problem Presentation, an important part of the customer validation process that helps you test your hypotheses with actual customers. This is essentially an unscripted interview with customers designed to elicit information about the problem your product is trying to solve. These interviews are meant to be exploratory rather than as a sales pitch for your product, functional or otherwise. This process can be continued by listing down the problems you assume your product will solve and then asking what the customer thinks about them as well as how they would rank each problem. These interviews can be a gold-mine of actionable information, because even if your assumed problems turn out to be not as important to the customer, you still have valuable data that can help you pivot your offering. The “Landing Page” is the first page visitors and potential customers come to when they’re led down the funnel towards your product. It’s a marketing opportunity where you can explain your product’s features and have them sign up, but at the same time and for the same reasons, it’s also a great MVP that lets you test your product against real-world market expectations. Landing pages are often misused as glorified email capture pages, but they can be used more extensively to test the product. Joel Gascoigne fleshed out the first landing page for used that to gauge demand for various features and price plans rather than just to build up a mailing list. This was as simple as adding an extra page between the features page and the signup form; the interstitial page showed a pricing table, and the visitors could select the plan that appealed to them. These extra clicks not only showed the visitor’s interest in the product, but also gave the team real-world data on what kind of pricing would be appropriate for the market. Kate Rutter, instructor at Tradecraft and co-founder of Luxr, is a big fan of using landing pages to “sell first, build later”. In order to be most effective, landing pages need to be able to provide the right information to customers in the right context. Remember that the objective is validated learning, so collecting visitor analytics with tools like Google Analytics, KISSmetrics or CrazyEgg is the most important part of it. You also need an effective value-proposition and call to action. For even further learning, you can also run A/B tests on the page’s content to help nail down what kind of pitch works best for conversion. 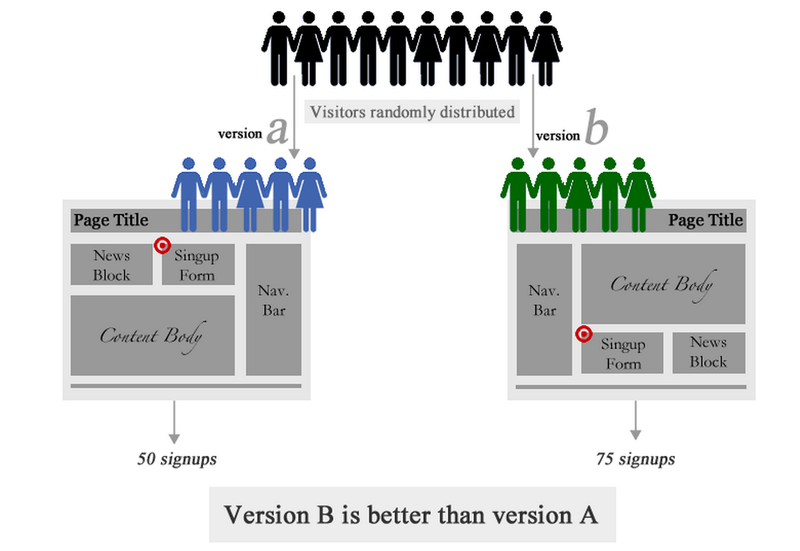 A/B Tests are used to test the effectiveness of any changes to your product or marketing. Various analytics tools can be used to test how visitors react to the design decisions you make, eliminating the guesswork when it comes to improving the product. A/B testing allows you to test two versions of the page or marketing copy and let visitor interactions determine which one performs best. A portion of your visitors see version A, while the rest see version B. In the end, using data gathered by analytics tools like Optimizely, Unbounce or Google Analytics, you can measure each version’s performance on a set of metrics like bounce rates, conversion or usage. 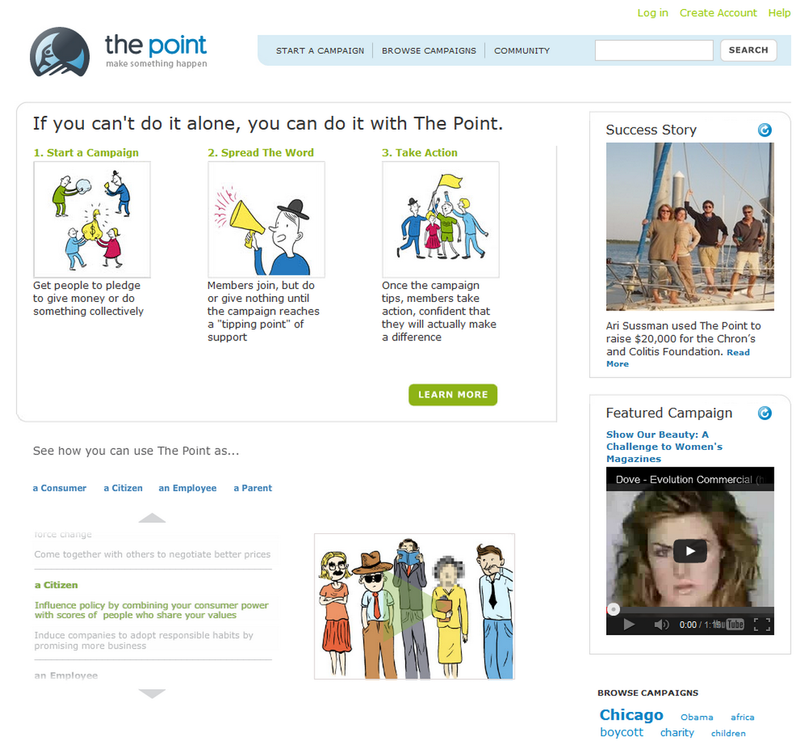 Perhaps counterintuitively, ad campaigns are a great way of running market validation surveys. Google and Facebook are platforms that allow you to drill down demographics to the particular target customer you’re trying to reach, and this lets you run a low-fidelity test to see which features or aspects of your product are most appealing to them. Running a campaign through these services gives you statistics like click-through-rates and conversions which can be valuable information in determining what your product will be and how it will run. These can be combined with A/B tests. Competition in the search marketing space is fierce, so it’s important to remember that running an AdWords campaign for your MVP is not going to get you a lot of exposure. But for testing your hypotheses and learning, it’s priceless. Crowdfunding websites like Kickstarter and Indiegogo, among others, also provide a great platform for running MVP tests. These websites are essentially collections of MVPs where the market response is judged by the interest people show in the form of contributions to the campaigns. This combines the benefits of validated learning with fundraising for product development and even gives you access to a group of highly interested and actively involved early-adopters who have a stake in the success of your product which is great for building word-of-mouth as well as continuous feedback along the way. You don’t need to look far to hear about success stories that began as Kickstarter campaigns. 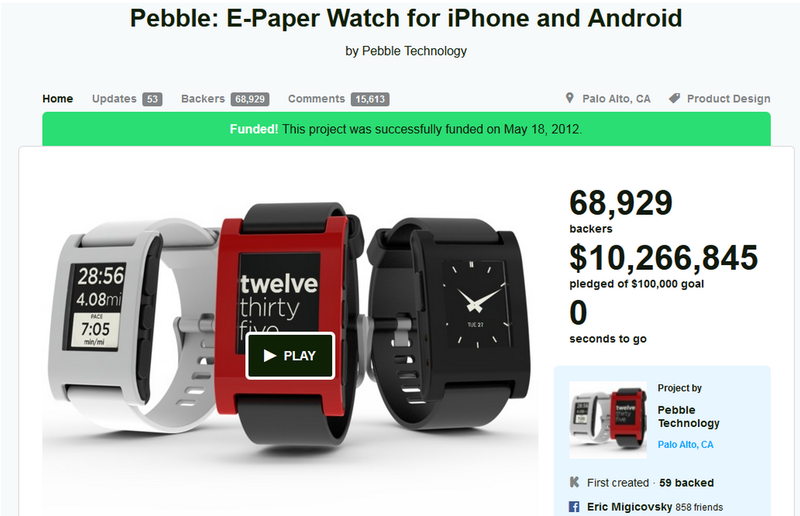 The Pebble e-paper smartwatch and Ouya gaming console are the more popular ones, raising millions of dollars and building buzz even before development began. Of course, some of the hallmark features of campaigns include a compelling narrative, effective explainer videos and useful rewards or incentives for people to back the project. If a picture is worth a thousand words, then a video demonstrating your products user experience is worth a million. 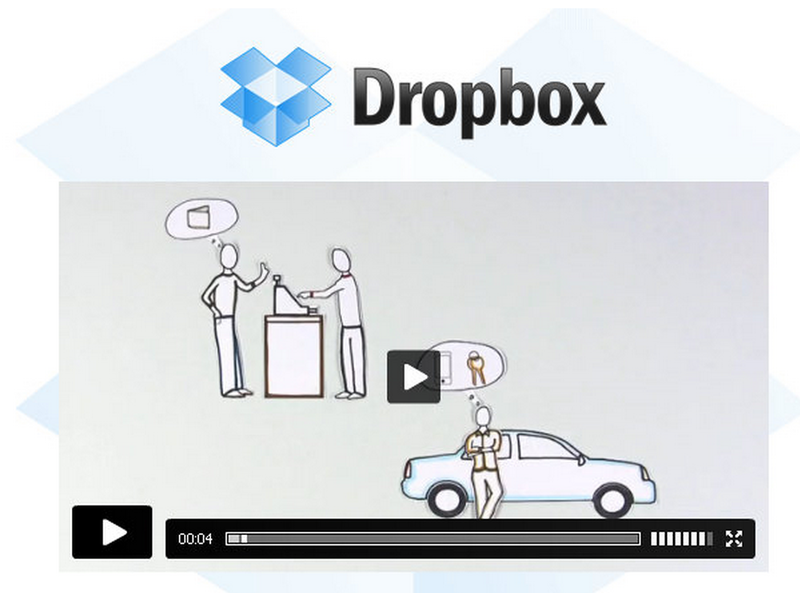 The most famous example of a startup using an explainer video to validate the market and sell their MVP is Dropbox. It began with a 3-minute video that demonstrated Dropbox’s intended functionality, which resulted in signups increasing from 5,000 people to 75,000 overnight—all of this in absence of a real product. Of course, it also helped that the video was targeted to tech-savvy early-adopters appreciated the easter-eggs and humorous references throughout the video itself. Dropbox’s explainer video served as a brilliant validation of the market before the founders ever had to invest in the infrastructure and development needed for its high-tech product to reach a functional level in the real world. Reaching the target customers is difficult enough, especially when you’re designing to solve a problem that many users might not even recognize they have. For Dropbox, perhaps saying it was offering a “seamless file-synchronization app” wouldn’t have the same impact. The explainer video instead walks potential customers through what the product is and clearly demonstrates how it helps them, eventually leading to why they would want to pay you for it. As a mix of Wizard of Oz and Concierge techniques, the Piecemeal MVP means putting together a functioning demo of your product using existing tools and services to deliver the experience instead of building anything yourself. Groupon, in its early stages, was a combination of WordPress, Apple Mail and an AppleScript that generated PDFs manually as orders were received from the website. Rather than investing time and money into building your own infrastructure, the product can be built using other existing platforms and services as the foundation, effectively using bits and pieces from various sources to make your version of the product. Instead of investing in scalable server technology, relying on cloud platforms like Amazon Web Services, Heroku and MongoDB, Facebook Connect, services like Chargify, Mixpanel, Mailchimp, Google Forms and LiveChat or even platforms like WordPress and Drupal are all great pieces in the jigsaw puzzle that is your MVP test. These services and platforms help you in the development process, speeding up the time it takes to get your MVP to market. Groupon for example, began life as a customized WordPress website where the founders posted deals and emailed subscribers PDFs manually in the spirit of validating their market potential. Design and development frameworks can prove to be useful shortcuts saving time and money. There are multitudes to choose from, some of the most popular ones being Twitter Bootstrap, ZURB Foundation, Ruby on Rails, Django, bootstrap.js or even frameworks like Node.js. Using a framework or library can significantly speed up your development time. They provide ample documentation and make it extremely easy to get up and running with your MVP. Many of the problems developers face like cross-browser compatibility, mobile-friendly design or code optimization are already taken care of, leaving you free to focus on building your MVP rather than the design or development that is meant to support it. Blogs are a great way of validating ideas with the right target market in minimal effort. 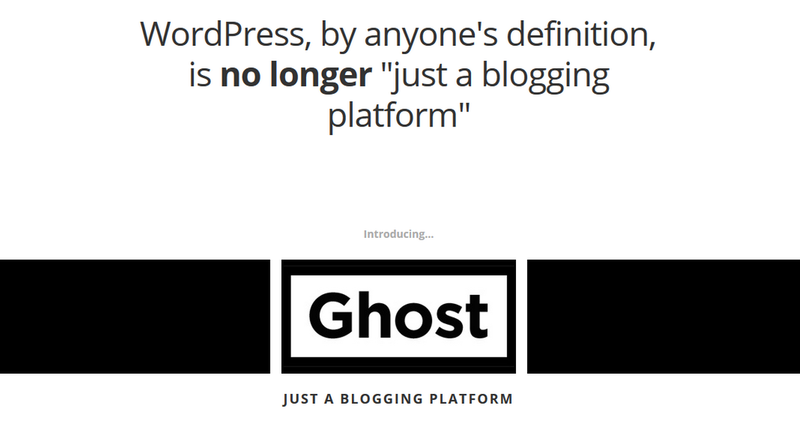 Blogging platform Ghost, and App.net began in concept on their founders’ blogs where they continued to flesh out their ideas and gain support from a community of followers and supporters. The two-way communication from blogs gives an ideal platform to build momentum and gather customer feedback in the MVP development process. 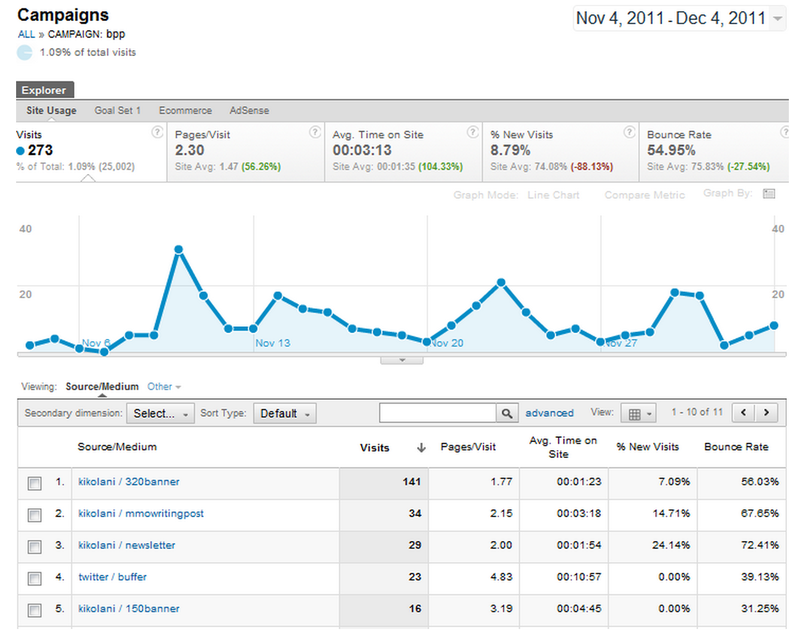 Additionally, blogs can also serve as early prototypes of your product. Eric Ries, author of The Lean Startup also began his book as a blog, building an audience and demand before signing any publishing deals. Similarly, so did 50 Shades of Grey! Rather than building a video or coding a framework, an alternate option for the initial stages of market validation is to deliver the product or service manually. “Wizard of Oz” MVP comes from the idea of putting on the impression of full functionality, essentially faking it until you make it. Customers believe they are experiencing the actual product, but in reality the work behind the scenes is being done manually. 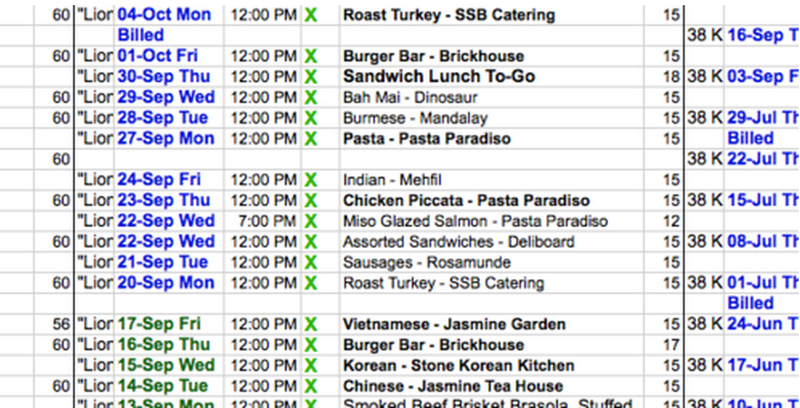 Arram Sabeti, founder of ZeroCater started with a giant spreadsheet which he used to keep track of companies and caterers he could connect with. Zappos began the same way, with its founder Nick Swinmurn putting up photos of shoes from local shoe stores on a website to gauge demand for an online store. When someone ordered the shoe online, he would come back to the store and buy it. Instead of first investing in infrastructure and inventory, this gave Zappos a chance to answer the question of whether their product would be accepted by the market. The expedited learning, albeit at a small-scale, provides opportunities to test many assumptions you might be making about the product or the marketplace. By doing it all manually, you give yourself the chance to try different things on-the-fly to see how customers react before you scale. To the customer of course, the product works and the behind-the-scenes work doesn’t matter. These MVPs undoubtedly require a significant effort, but can be ultimately worth it for the focus they provide on the problem rather than the solution. Zappos for example, eventually grew into one of the most successful online businesses and was acquired by Amazon for $1.2 billion in 2009. The Concierge test is similar to the Wizard of Oz MVP, except instead of faking a working product, you’re upfront about the manual work and the product or service is delivered as a highly customized service to selected customers. Rent the Runway tested its online dress rental business model by providing an in-person service to female college students where anyone could try the dress on before renting them. This validated its riskiest hypothesis that women would rent dresses and served as a great concierge MVP that put the business in front of customers and got them feedback. Time is valuable, especially at this stage and and running through the process manually also reveals other aspects of the customer experience that can prove valuable further on. Instead of putting in resources towards building a real product, these MVP tests can answer the more important question first: are you building something that customers will use and pay for? Mockups, wireframes and prototypes can be used to demonstrate the product’s functionality in a way that mimics the actual usage. 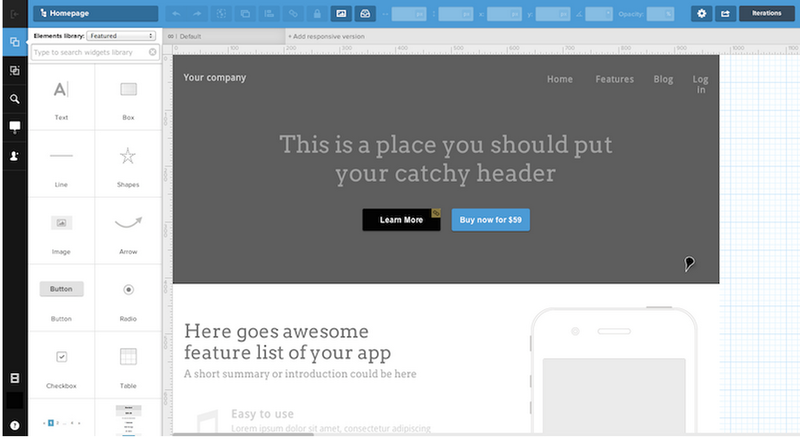 These prototypes MVPs can range from low-fidelity sketches to screenshot previews to more complicated “dummy” applications that demo the user experience. You can use collaborative wireframing and prototyping tools like UXPin that let you express what you want to build and share those ideas transparently with the team. 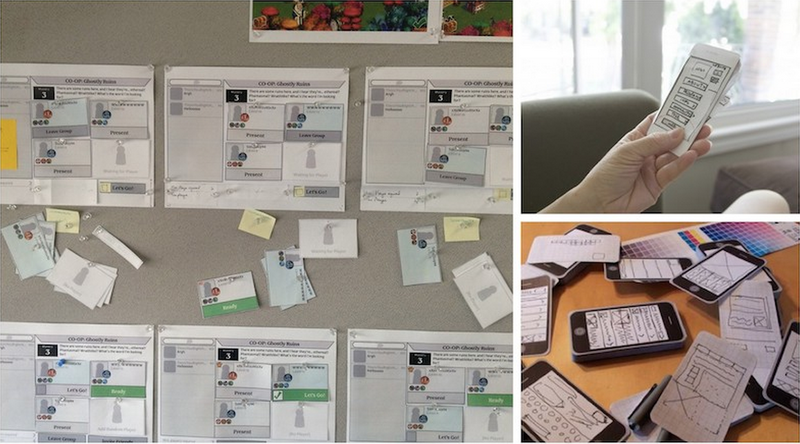 Similar to Digital Prototypes, except these are physical, either made of cutouts or even sketched on paper to demonstrate your product and its user experience. The advantage with paper prototypes for MVP testing is that they can be used by anyone on the team, from product managers, graphic designers, investors to end users. and require very little explaining because it hands you an actual representation of the product. For physical product development like phones or chairs etc. this technique is invaluable. Digital and paper prototyping is covered in greater detail in the Guide to Wireframing. Often times it may be best to focus on a single feature of your minimum viable product to save development time and effort as well as preventing users from becoming distracted with what the product is primarily supposed to be. 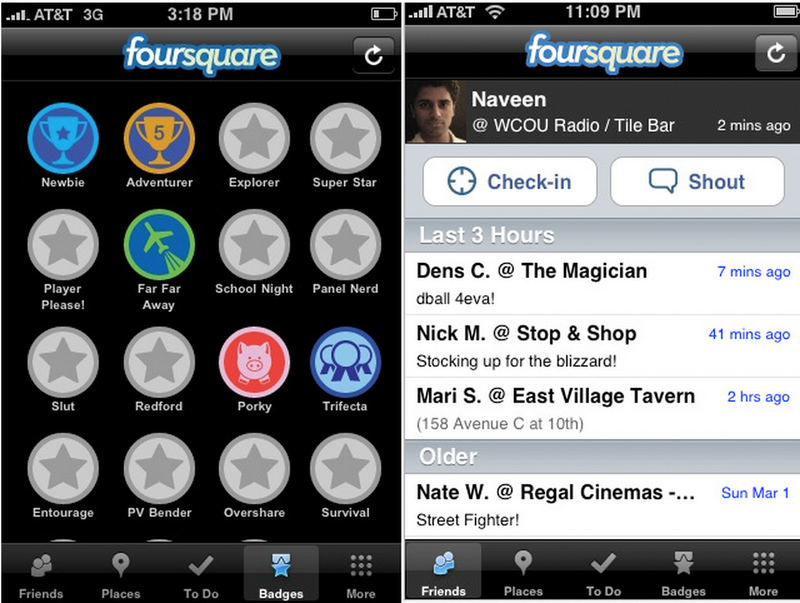 Foursquare, for example, began with the simple idea of letting users check-in to the social network with their location and the first versions of their app reflected this simplicity. 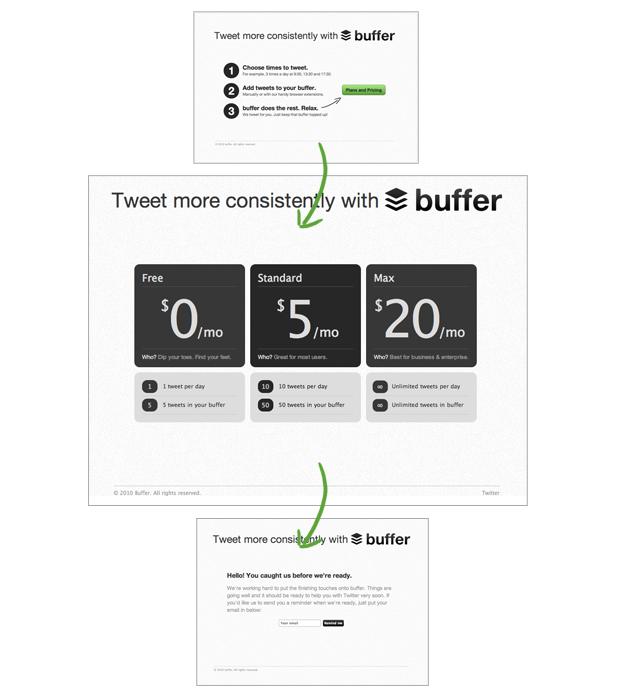 Buffer started out with just Twitter support and only one account per user. These restrictions help you narrow down the initial customers and focus on the more important problems, like testing product and market viability rather than worrying about adding support for other mobile platforms. Similar to the fundraising MVP, the Pre-Order Page MVP test lets you present your product to potential customers with the aim of enticing them enough to pay for it before you even build it. 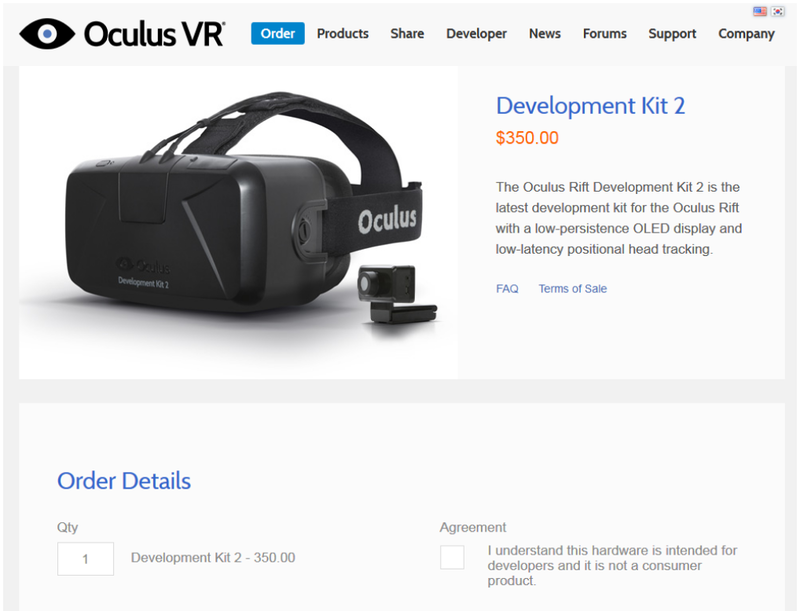 Oculus Rift, the virtual reality gaming kit, launched a pre-order page for its development kit before they began production. A lot of projects on Kickstarter begin as pre-orders. This can show you how much demand exists for the product you’re trying to build, giving you an indication of whether you should continue or scrap the project. The problem with offering a pre-order is of course that customers might be wary of the possibility that you will not deliver with the product you promise. Nobody likes vaporware, and users who back a project in such early stages demand a return on their faith in you, and of course, on their money. In some ways, building a MVP actually creates additional work because this process of iteration and validated learning requires significant investment of time and energy. That’s why it’s important not to get bogged down by unnecessary details and overhead when building MVPs. Eventually, the objective is to figure out if the effort you’re putting in is worth it, and you don’t want to spend time working on something users don’t find useful or want to pay for. It’s also important to realize that when testing your hypotheses, you might want to consider using multiple MVP testing techniques. The one that fits your business model and market best will undoubtedly vary. But the important lesson to take away here is to go out and build it. Think about the biggest assumption your product is making and build a minimum viable product that tests that hypothesis in the market.